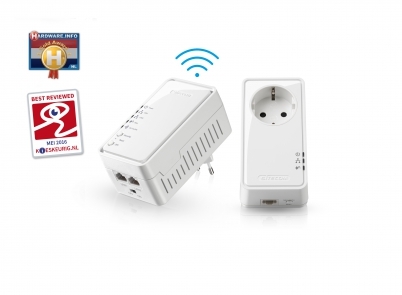 The LN-555 Wi-Fi Homeplug Dual Pack lets you start a homeplug network and connect additional devices wirelessly to the internet. 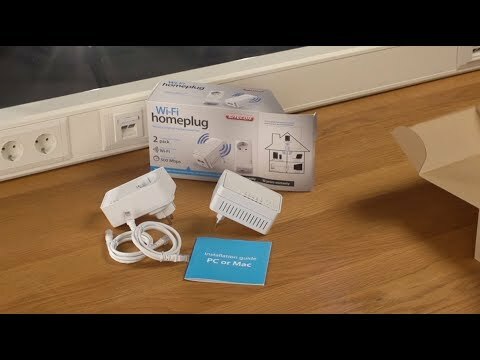 With this Wi-Fi Homeplug Dual Pack you can add an extra wireless hotspot to any room in your house to connect extra devices wirelessly, ideal for areas with insufficient wireless coverage. In addition, the two Fast Ethernet ports let you connect up to two devices per cable, ideal for devices that are not equipped for wireless Internet such as older generations of game consoles, Blu-ray players or desktop PCs. The great thing about homeplugs is the ease of installation: because this solution makes use of the electrical wiring there is no need to install cables. This allows you to share files and peripherals among all connected devices at speeds of up to 500 Mbps in the blink of an eye — ideal for high speed internet and media applications. 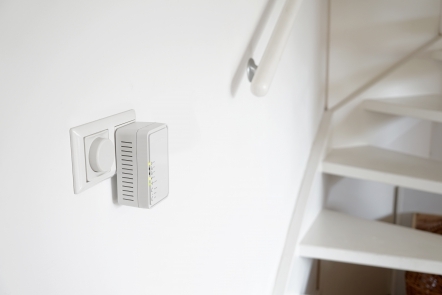 Create a secure home network with just one push of the security button. The power-saving function ensures that the homeplug automatically switches to standby when the connected device is switched off. This reduces power consumption by around 60%.